Galentines Day is one of my favorite days of the year. 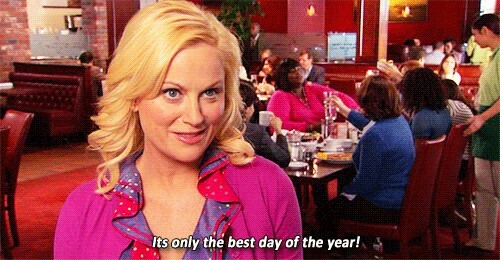 It's a day completely devoted to gals, originally thought up by the incredible Leslie Knope of Pawnee, Indiana. And, in the words of my friend Emily, Galentines Day is "women aggressively supporting each other." It's pretty great. This year, now that I'm comfortably set up in my own Minneapolis apartment, I decided to host a special Galentines Day party for the incredible ladies in my life. I am the daughter of a decorator. My mom has spent years working in the floral and wedding industries, and she is no stranger to hosting a great event. I didn't get her talent for swimming or her knack for wrapping gifts, but luckily I know how to throw a great party. I was particularly satisfied with Target for pulling out all the stops when it came to affordable and fun Valentine's (+ Galentines!) Day decorations. This was a completely spontaneous decision. As I was perusing Target's Valentine's section, I saw a package of photo booth props selling for cheap and suddenly, it was decided. 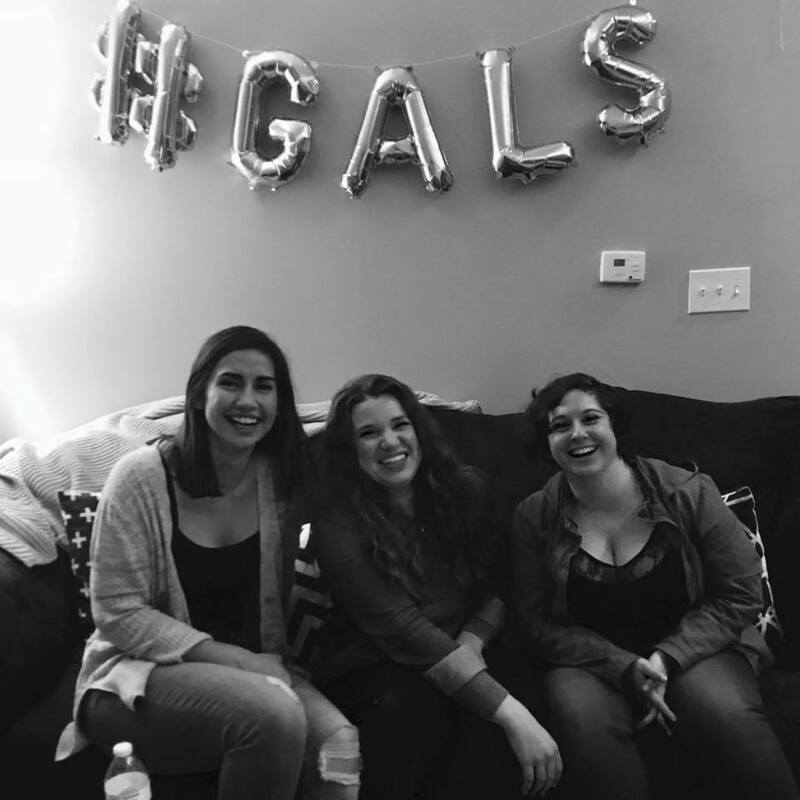 I created a "photo booth" at my Galentines party and I'm so glad I did! The photo booth was definitely a focal point of the party, and what's best is it was cheap to execute! I bought cardboard props on sale at Target and American Eagle, and my friend Carolyn was nice enough to share her tripod and photo equipment. Luckily, I have a lot of white closet doors, so I already had the perfect backdrop. Even in our twenties and thirties, my friends and I found dressing up in silly props and snapping pics a fun way to pass the time. When it comes to hosting a Galentines Day gig, it helps to have a great group of gals to invite. It's taken me a long time to curate my crew, but all the drama and fights over the years were worth it, because I've got a really spectacular group of friends these days. I was truly overwhelmed by the turnout of amazing women who showed up at my door to celebrate gal-hood. What's more, my closest friends from different parts of my life were finally all able to meet one another, and based on the text messages I received the days following the big event, it seems like everyone else had just as much fun as I did. "It was so nice meeting your friends. You know they say the company you keep says a lot about you—and your friends are all such wonderful, inclusive people and that's really cool." "I felt very safe at Galentines, even though I didn't know anybody, and that's a great feeling. I appreciate that you created a safe space for women to come and just talk and hangout. It was beautiful. Thank you." After a successful Galentines Day 2018, I think I'll make this party an annual thing. What do you think? !